Tomorrow is Kiwanis One Day 2014, an event when Kiwanis members unite to complete hands-on community service projects around the globe. To celebrate all the work Kiwanis members do on One Day, and throughout the year, we’re reflecting on how our partnership has already allowed us to make a difference in many communities. 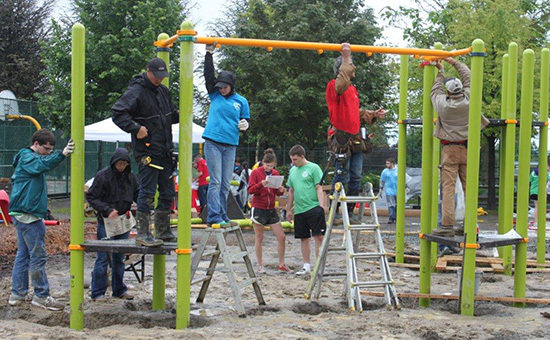 In June 2013, we worked together with Kiwanis and their collegiate service organization, Circle K International (CKI), to install playground equipment at two elementary schools in Vancouver, British Columbia. Additionally, we awarded $25,000 in playground equipment to the Iola Kiwanis Club in Iola, Kansas, as part of our Make a Difference Through Play contest. 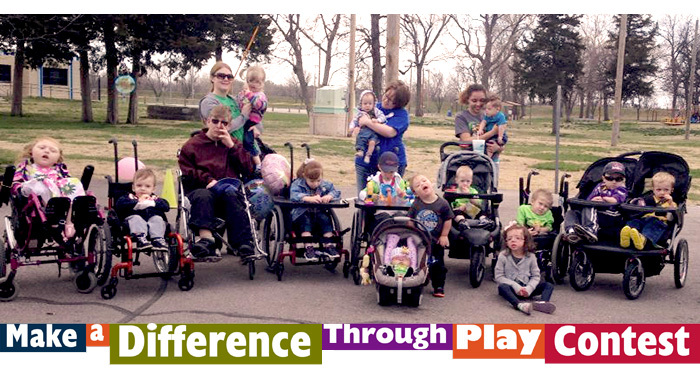 The club will install the community’s first inclusive playground this month! Learn more about our partnership with Kiwanis International, and connect with your local Kiwanis club to learn about volunteer opportunities and more.